President and Founder of the National Gym Association, Inc. The National Gym Association, Inc. (NGA) was established in 1979 for the purpose of maintaining the highest standards of safety, education, and training. We are proud to present our "in-home" study personal trainers certification course which surpasses any other training course on the market. We can say with pride and even greater certainty that we are providing the personal trainer with the tools and skills needed to become the highest caliber professional trainer. The National Gym Association's Personal Trainer Certification program is the best, most comprehensive and the most thorough IN-HOME STUDY PROGRAM you can find period. The NGA is a 501(c)(3) NOT-FOR-PROFIT ORGANIZATION. The goal of the NGA is to provide you with quality excellence in personal training certification programs and fitness education. Andrew Bostinto is nationally recognized as one of this country's top physical fitness professionals. Andrew's experience spans 40+ years in personal fitness training, lecturing, teaching, writing, and is the author of "Become Your Own Personal Mental Fitness Trainer". As a former title holder of the Pro Master Mr. America and supervisor of trainers for a chain of health clubs, Andrew has personally trained thousands of men and women of all ages and abilities. His hands-on experience included working with many top film, television, and music celebrities such as; Al Pacino, Patrick Stewart, Cyndi Lauper, Hollywood producer Martin Bregman, and opera star Placido Domingo. His extensive background in educating the public about the importance of physical fitness, proper nutrition, and health led to his appearance on several television shows including; Regis Philbin, Geraldo Rivera, and Eyewitness News. Andrew Bostinto is a leader and outspoken advocate for Drug-Free Athletes of America. The NGA sanctions drug tested bodybuilding contests throughout the United States and abroad. Our trainers and promoters are representatives of the NGA. 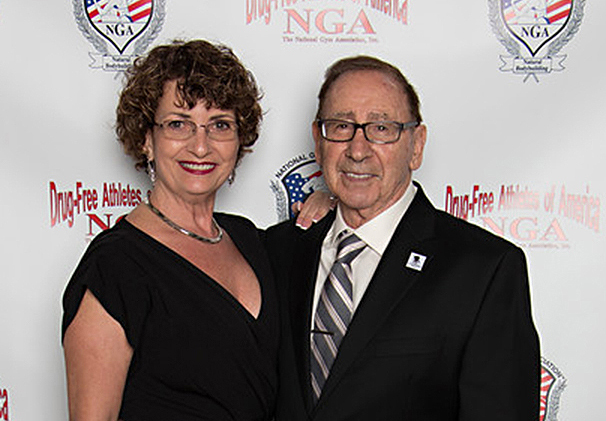 The NGA continues to encourage the art of natural bodybuilding while providing education and anti-drug information to bodybuilders, athletes, and the general fitness public. A science writer who has several editorial credits, is the author of Drugs in the Body: Effects of Abuse and is coauthor of several articles in bodybuilding and fitness magazines. He is an experience marathon runner, cyclist, and bodybuilder. Professor of Health Education, Queensboro Community College, CUNY. Focused on exercise physiology in graduate school, received his MS in Physical Ed. from PA State University, and earned his doctoral degree in health education at Indiana University. He has taught health education at the college level for over 20 years. Dr. Yaldizian is an internist specializing in physical rehabilitation medicine. He is Director of Medi-Yale Physical Rehabilitation, Sports Medicine/Disease Prevention. An internist who spent many years working in physical medicine and rehabilitation both in Europe as well as in the United States. She earned her master’s degree in medical biology and nutrition and is currently a nutritionist in to physicians, hospitals, nursing homes, and home care agencies. A chiropractor specializing in the care and prevention of sports injuries, holds an MS in Exercise Physiology; former faculty member, Sports Science and Performance Research, and Strength and Conditioning Specialist for the University of Florida. A writer in the field of strength training, natural bodybuilding, and fitness. He is an English teacher with an educational background from Fordham and St. John University.